SUMMARY: Unfortunately, bad breath goes deeper than brushing and flossing. 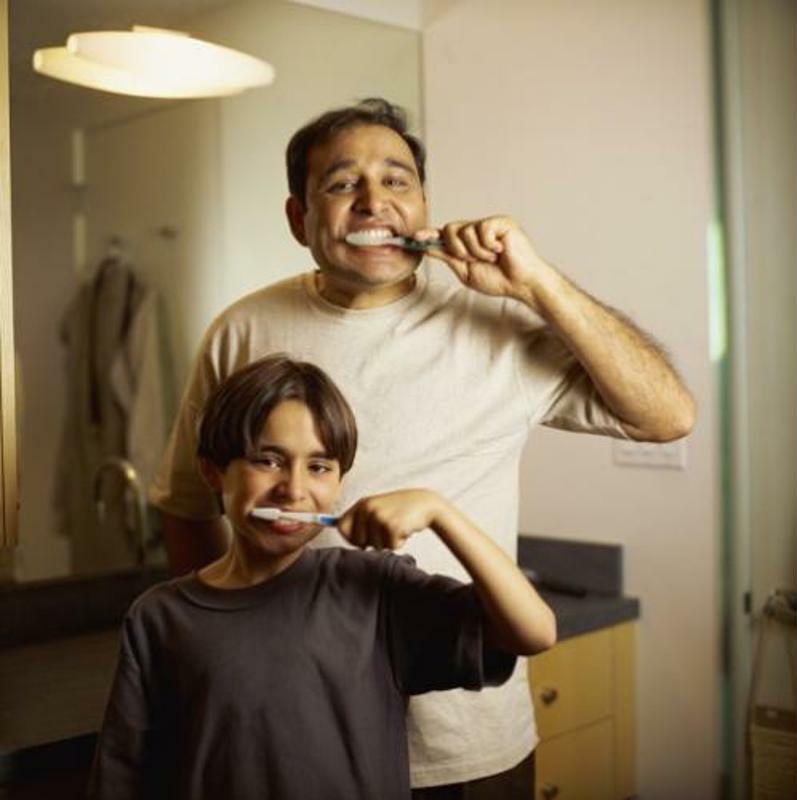 Here are a few reasons your breath could still be rancid after brushing. Picture this: You wake up in the morning, have your cup of coffee and bowl of oatmeal and then head straight upstairs to perform your daily oral hygiene routine. You spend time brushing your pearly whites and flossing between your teeth, leaving your mouth feeling fresh as can be. But the second you walk downstairs and go to kiss your significant other goodbye for the day, he or she makes a pungent face and asks if you're going to brush your teeth before your leave. But how could you possibly have bad breath after performing such a complex oral regimen? Bad breath goes beyond brushing. Bad breath bacteria are normally controlled with your own saliva, so they thrive when your mouth is dry. Dry mouth can be caused by many things, from smoking and drinking alcohol to more natural daily occurrences such as speaking for long periods of time, snoring or simply sleeping through the night. According to the Mayo Clinic, bad breath can be a result of a surgical wound left behind from an oral surgery. Tooth decay, gum disease and mouth sores can also cause bad breath. Other ailments commonly associated with bad breath include tonsil stones and yeast infections of the mouth. If you're currently living with one of the previous conditions, it may be the root of your halitosis problem. The food and drink you consume after brushing your teeth may exacerbate bad breath. Beverages like coffee and certain fruit juices are known to dry out the mouth and are also acidic, giving bad breath bacteria the ideal environment to thrive. When it comes to dietary choices, foods like onions and garlic are made up of sulfur compounds that can linger after eating and make your breath smell almost instantly. Certain fish, meat and dairy products also contain dense proteins that sulfur-producing bacteria feed off of. If you want to avoid bad breath after eating, stick to crunchy fruits and vegetables that can actually help product saliva and keep the mouth clean. If you're dealing with bad breath even after brushing and flossing, perhaps TheraBreath can lend a helping hand. Clinically tested, our products, such as TheraBreath Oral Rinse, are free of alcohol, sugar and other harsh ingredients. Specifically, TheraBreath Oral Rinse uses the oxygenating power of OXYD-8 to attack bad breath causing bacteria and eliminate the odor from your mouth, guaranteed. Try TheraBreath Dry Mouth Lozenges, Fresh Breath Toothpaste, Chewing gum and other products to address your halitosis today.